In school bus crash data collected by New York State’s Education Department, information surfaces that the greatest danger to students and bus drivers on the roadway is other drivers: whether it’s people rear-ending stopped busses, or sideswiping busses while cutting corners on narrow subdivision roadways. The data also shows that the instances of students being seriously injured in a bus crash are quite rare. It also shows that school buses are generally the safest way to travel to and from school. This can be attributed to proper fleet safety programs taught both in school and during training, along with a myriad of other factors. New York State employs a bus inspection program as part of their overall fleet safety policy, under which each school bus is subject to a review more rigorous than the mandated vehicle inspection for passenger cars. Last year, according to the state Department of Transportation, more than 130,000 buses were inspected and 5.8% of the buses inspected were temporarily pulled off the road for repairs. Keep in mind, the criteria for these inspections can be so strict, that everything on a bus is, or can be, an out-of-service ticket item. Employing proper fleet safety can help keep your assets and everyone on the road safe. Reduce insurance costs and find out how GoFleet’s Fleet Safety Program can help your business prosper by calling 1.888.998.1122 or by emailing our sales team here. 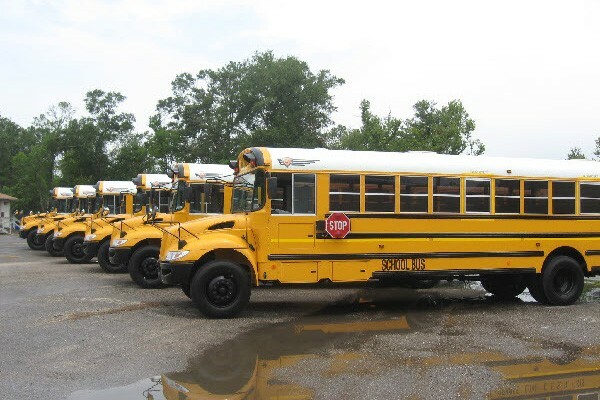 Read more about School Bus Tracking Systems.